A rare find! Don't miss out on your opportunity to own this farm land and house adjacent to one of most well-known thoroughbred farms in Frankfort, Indian Ridge Farm! 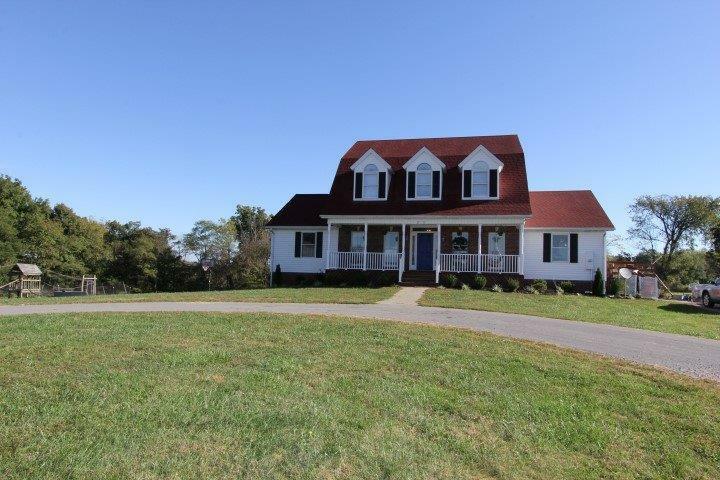 This 1.5 story home with 27.91 acres is tucked away with a private setting and has something for everyone! Enjoy sunrise and sunset, wildlife and watch the foals grow in the neighboring field from your very own front porch! From the family room with masonry wood burning fireplace to the open kitchen with granite countertops and dining area, there is plenty of room. The master suite is located on the main level with two closets and the master bath offers a double vanity and jetted tub. Upstairs is complete with three bedrooms, a bonus room and a full bathroom. The basement offers even more room to spread out with a large den that has a masonry brick wood burning fireplace and rec area along with a full bath. Need a workshop? Got that too! The detached 45x80 garage also has an office and shed providing more storage space!